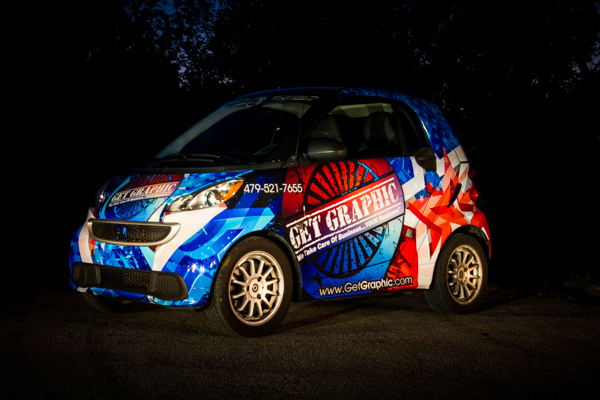 Vehicle wraps allow you to display your signage in places that you never thought possible. You can reach thousands of potential customers every single day just by doing the things you already do. Driving to the office making deliveries, running errands, visiting clients, eating lunch, anywhere you go people will see and remember you. 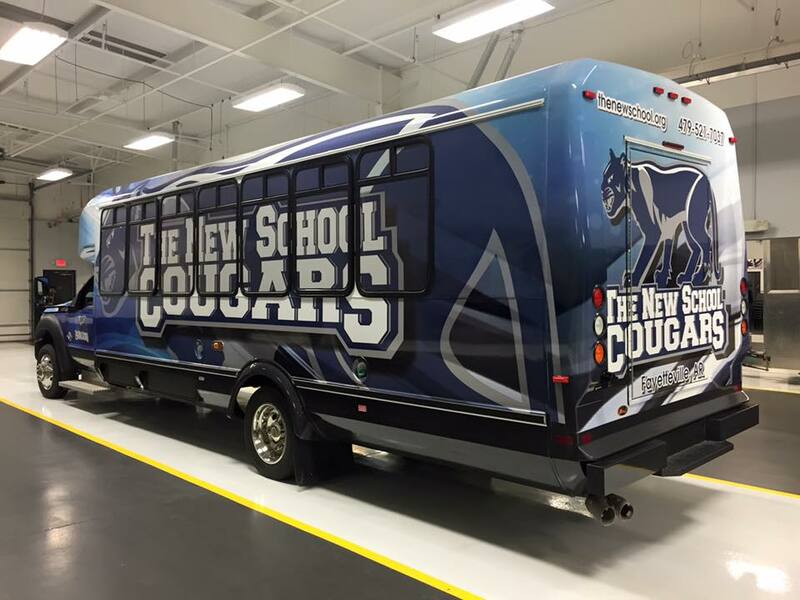 Not only can Get Graphic design and install a vehicle wrap that will make your brand stand out, we take pride in having a design team that understands the importance of properly placed graphics which are tailored to each individual vehicle. 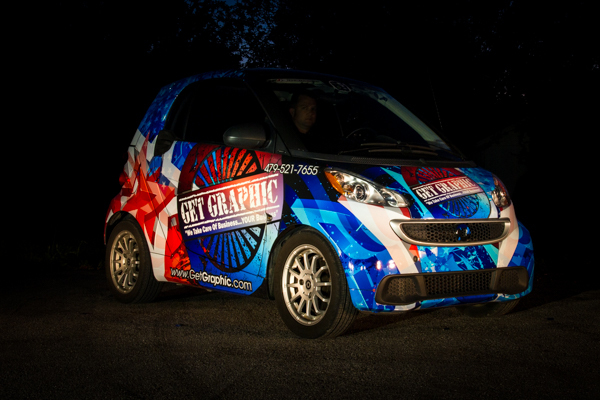 We understand that the difference in a wrap and a great wrap is how well the design represents you, while attracting attention and maintaining brand consistency. 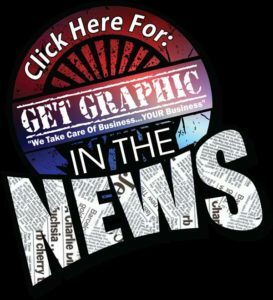 In November 2016, we were recognized by the industries premiere manufacturing company as 2016 Champions in their 3rd annual national Wrap 2 Wrap contest. We were selected from entries by industry leading installers from across the USA and judged by a group of the most respected installers in the world. 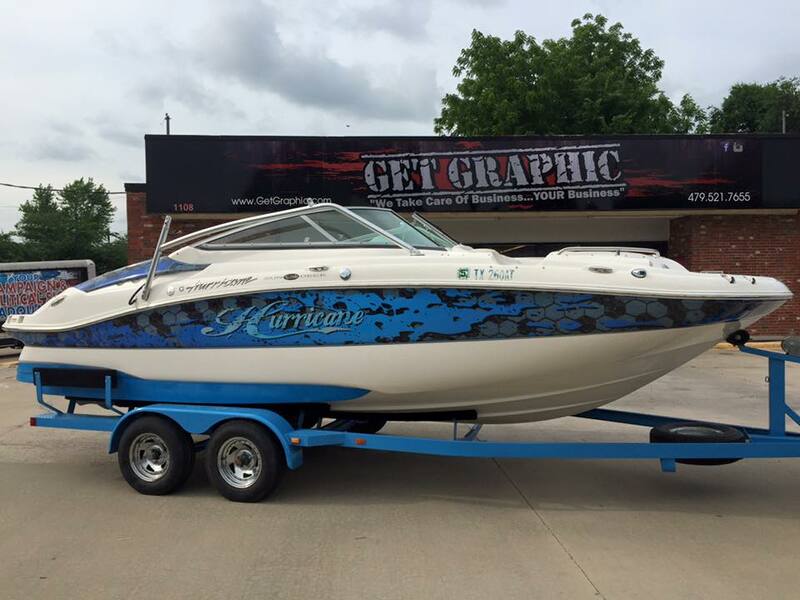 Not only can Get Graphic wrap virtually any kind of vehicle, including trailers, boats, golf carts, etc., but recent developments in technology have allowed wraps to be used in more places than ever before. 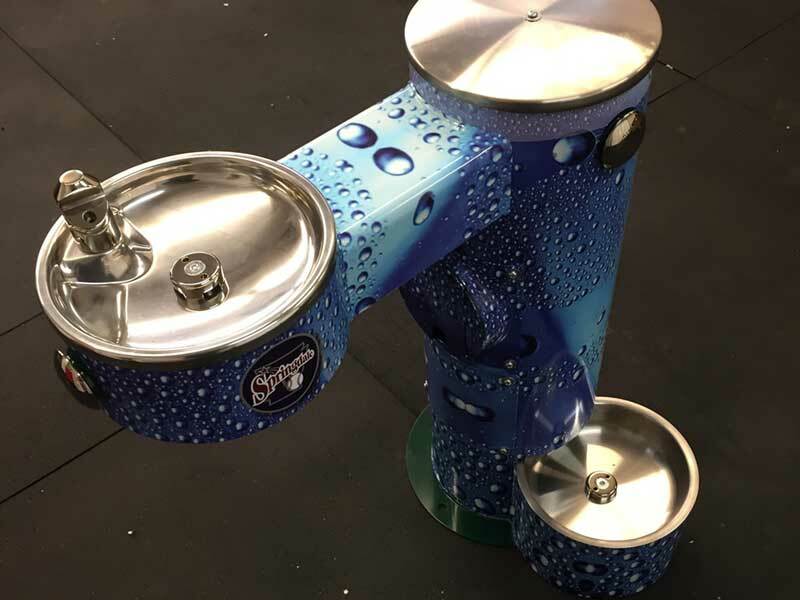 We have wrapped refrigerators, water fountains, and musical instruments. We can even wrap interior and exterior walls and floors including porous surfaces like brick and concrete. No matter what the application, you can rest assured that your project is being completed by trained, knowledgeable professionals adhering to the industries highest standards, while making sure that your job is completed on time, when promised. 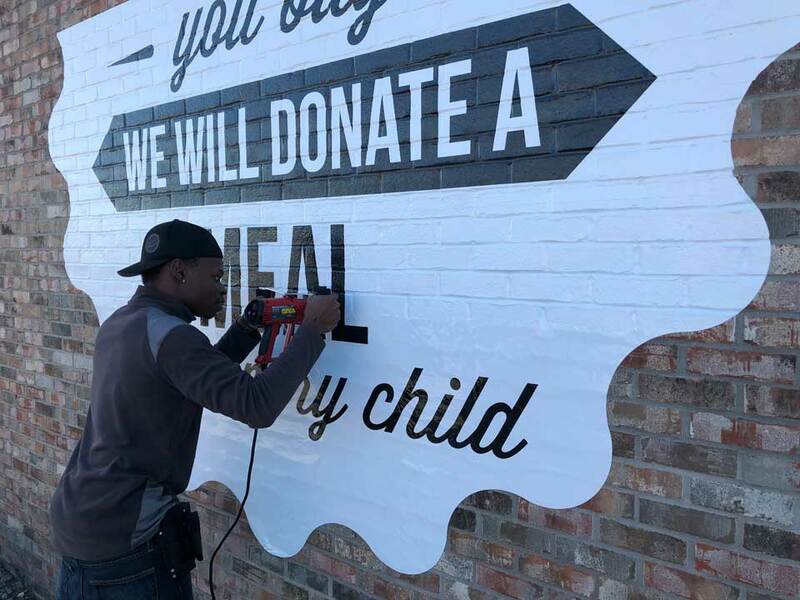 Wraps are the most time consuming and expensive product that many places offer, but most places are unwilling to make the investment in themselves to ensure that you, the customer, gets what you're paying for. At Get Graphic, we go above and beyond to make sure you get the best by keeping up to date with the latest design techniques, training, and certifications. Please feel free to check out our News / Press Release page for an up to date list of our latest training, awards, certifications, and other industry recognition. Then compare our resume to anyone, anywhere! We understand that many of you may not get this, but here's the backstory of the hashtag we use on Facebook, Instagram and in some of our marketing for those of you who might be curious. We were teenagers in the early 90's, who grew up listening to Gangster Rap, and hiding the cassette tapes in the glove box of our parents' cars so we wouldn't get in trouble for the lyrics. Spending our formative years listening to the self-proclaimed “Original Gangsters” of rap music provided us with more than just a colorful vocabulary. In the long-run, we managed to find some positive influence in their message. We use #GangstersOfWrap for a hashtag on social media as a play on words to draw attention to recent projects, and pay tribute to our generation, but in actuality it goes a bit further than that. 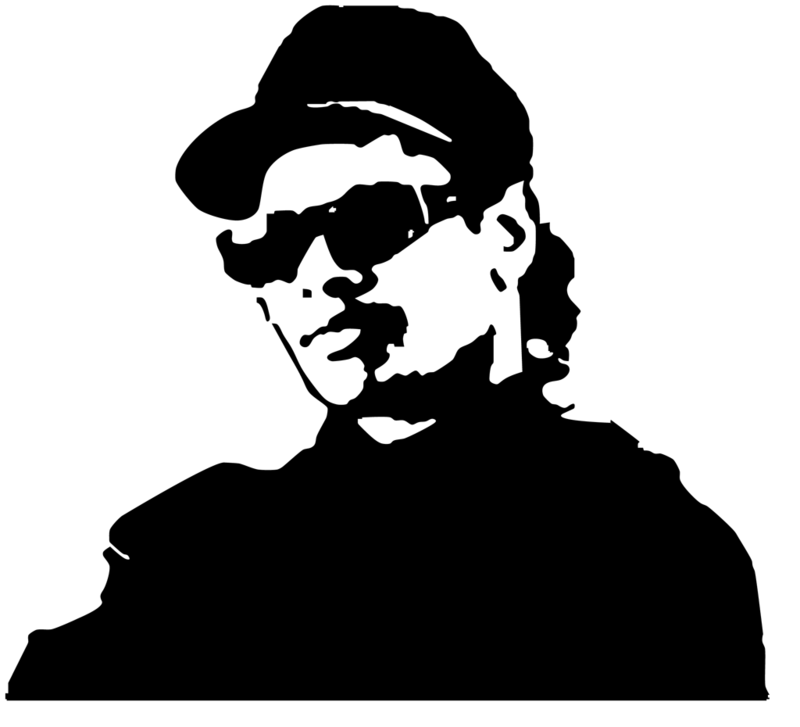 Those OG's (Original Gangsters) in the rap industry took pride in being "Self Made", "Innovative" and "One of a Kind". They didn't "Take Kindly" to anyone ripping off their style, lyrics, or look. 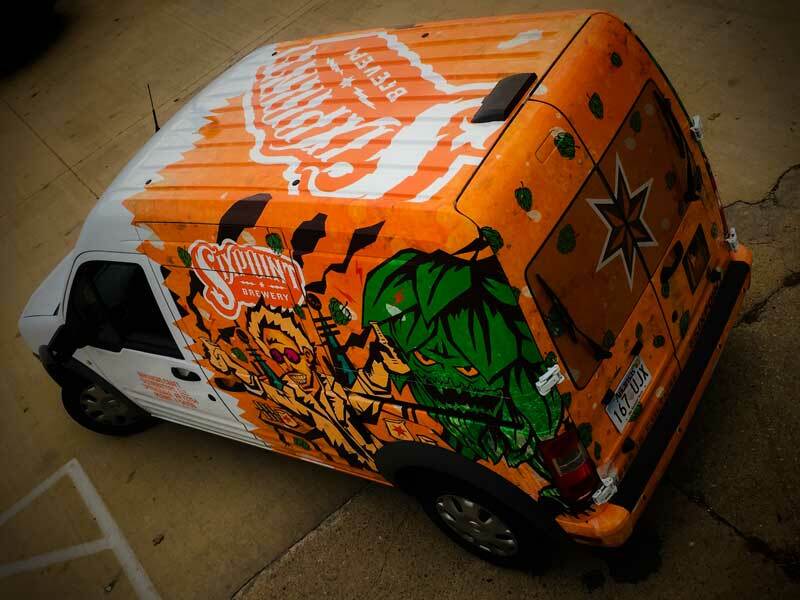 Our rhymes may be weak, but we mirror many of these attributes when it comes to the wrap industry. We are "Self Made" in the fact that Get Graphic started in the back room of a 1600 sq ft house, where we operated for our first two years in business, while we grew into a respected leader across multiple facets of our industry. We set ourselves apart as "Innovators". 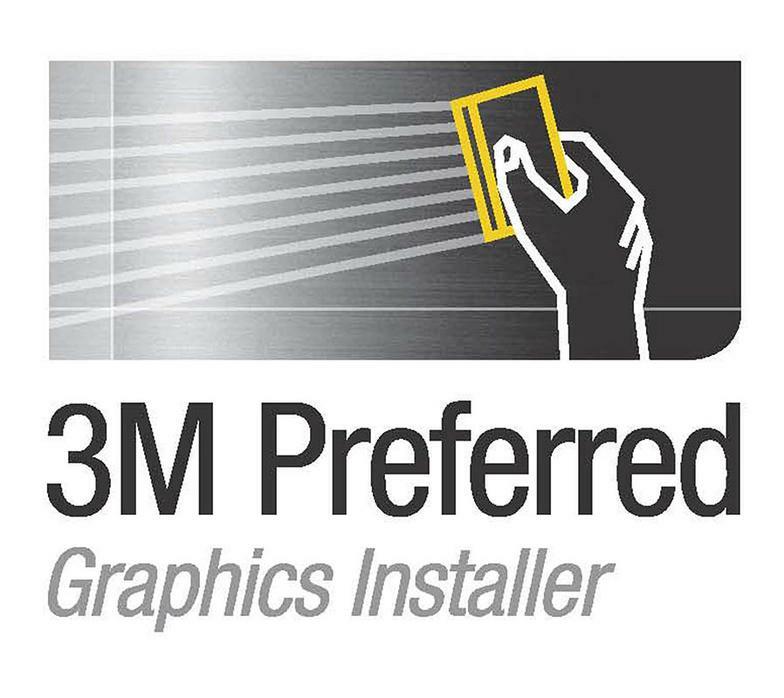 Get Graphic was the first in our area to send our installers for professional training and certification in graphics installation. We are now home to not only one, but two certified installers. Our designs have unique style and artistry that speak for themselves, and stands out when compared to the work of others. 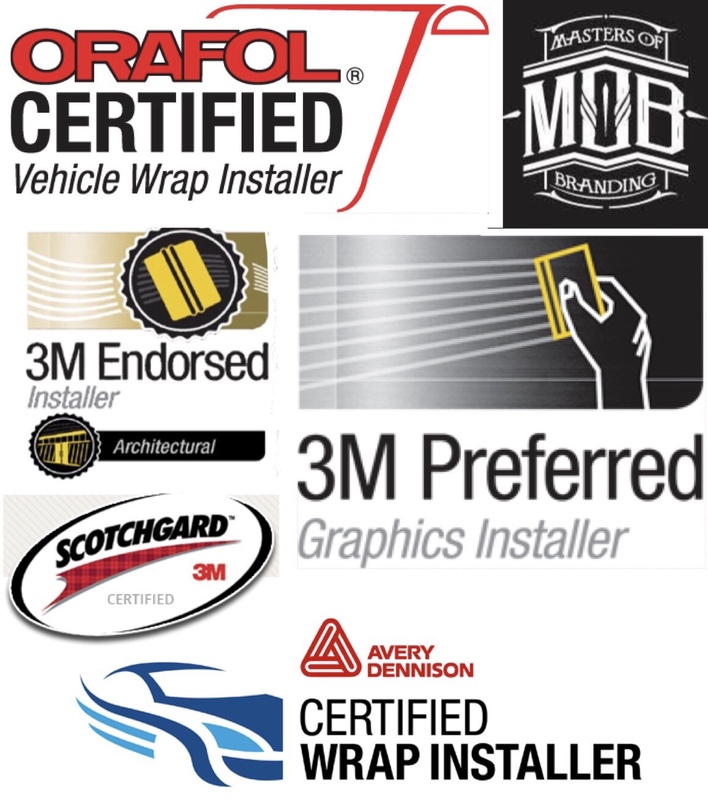 We are "One of a Kind" in the fact that we have been recognized alongside of other elite designers and installers from all over the world as trendsetters in the wrap industry. We have attained national recognition and awards for our work by the industries' most respected manufacturers, professionals and trade publications. We continue to stay on top of the latest trends by staying up-to-date on new products and installation techniques, by constantly re-investing in ourselves with the latest equipment, training and certifications as they become available. Competitors represent our work as their own and include it in portfolios that they show potential customers as jobs they claim to have completed themselves. They embellish about their own training and claim to have equivalent certifications with no documentation or skill set to back up claims that they make. 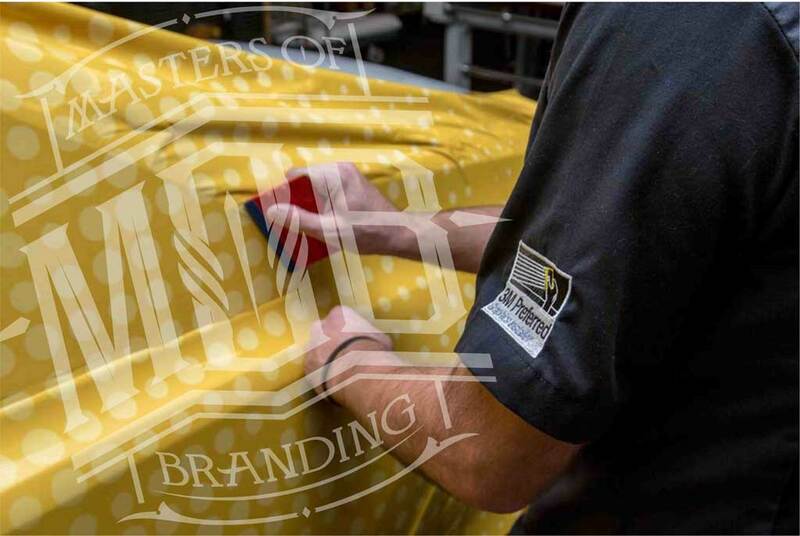 They slander the quality of our work because they are threatened by our originality and unique approach as the originators of quality wraps in Northwest Arkansas. When we call ourselves "Gangsters", it's merely a play on words that means, we were 90's teens who chose not to follow the crowd, and today we're leaders in an industry that's still in its infancy, and we are using our creativity to take it to the mainstream. Others lie, spread rumors, and try to hold us down, while our work, style, and resume speaks for itself. Any claims we make are real, and we're not afraid of being asked to back them up. If you’ve worked with us before, you already know the Get Graphic difference.